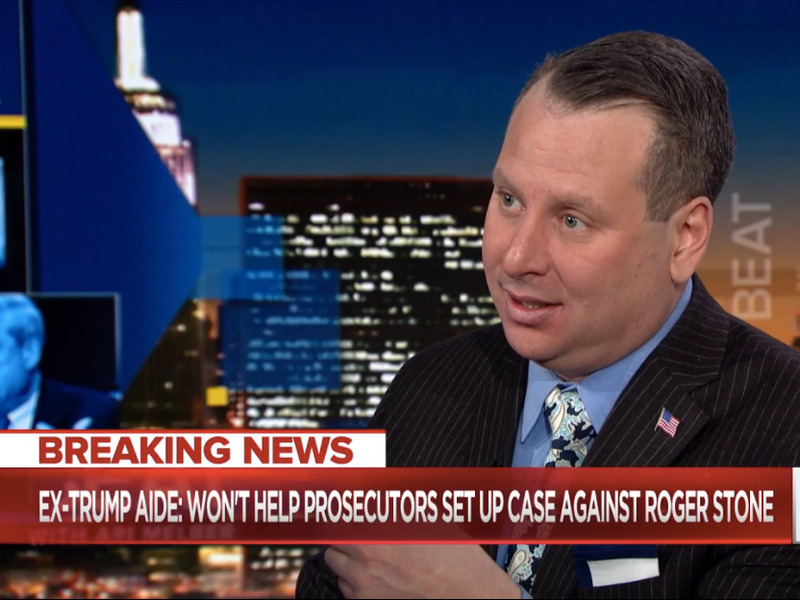 Former Trump aide Sam Nunberg’s media blitz on Monday shocked America for its insight into the Mueller investigation. But it also offered insight into how Trump’s mind works. Nunberg has always been a “Trump whisperer,” and they share the same view on politics as a game. The way Nunberg is reacting to mounting evidence of Russian interference is also seen in Trump. 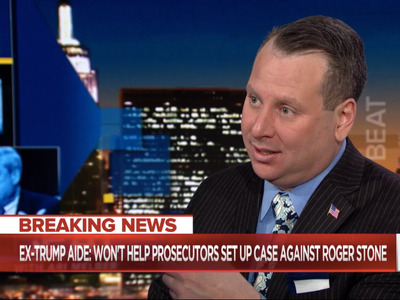 When I finally caught up with Sam Nunberg on Monday night, he was immediately upset with me. “How did I do? Didn’t I do great?” he asked. I did not provide the positive feedback he was looking for, and so he promptly hung up. Having spent time on the fringes of Trump world, I wasn’t surprised. It’s a world very into instant gratification, attention, and constant validation. He offered a mirror into Trump’s mind. For those forced to interact with Trump world, Nunberg has always been seen as a Trump whisperer. He was Hope Hicks before Hope Hicks was Hope Hicks. He comes from a long line of tricksters who see politics as a game and do things the way Trump likes them done. He’s a protege of Roger Stone. Stone was a protege of Roy Cohn, who was a protege of Sen. Joe McCarthy, eventually was disbarred, and is the lawyer Trump cries out for – the one he wishes were at his side. Trump and Nunberg are men who see the world similarly. They are tribal and think everyone is equally tribal. They see unfairness everywhere. They think of people, things, and ideas as either winners or losers, and they make decisions based on that paradigm. They play in the petty; they love celebrity and revenge. Lucky for us, though, what Nunberg has that Trump lacks is a slight bit of self-awareness and a much larger vocabulary. That is why he is better at articulating what is going in Trump’s head than Trump, and it seems neither of them are willing to consider that their game may have not been their own – that someone else with a grander plan co-opted it. Top of mind, interview after interview, was Nunberg’s rivalry with former Trump campaign aide Corey Lewandowski and Trump son-in-law Jared Kushner. In Trump world, that’s exactly where petty feuds are supposed to sit. After that, of course, was the unfairness of the whole situation – Nunberg’s disbelief that Trump got him into this mess and that he would even have to comply with Mueller’s investigation. After all, he reasoned, the campaign was total chaos. Nunberg has told me, just as I’m sure he’s told any reporter who would ask, that Trump has no plan. He works from moment to moment, purely on gut instinct. To Nunberg, just as it is to Trump, that makes collusion fairly impossible. Their campaign aim was to win as much as possible. That’s as far as the plan got. Everything else to them was and remains a matter of details. Now, Trump isn’t great at details, but Nunberg is much better.Carter Page was a Russian spy for sure, Nunberg said during one interview, but Page was simply put in a foreign-policy advisory group because they needed foreign-policy people – just a detail. Trump, he said, is too much of a control freak not to know if his aides are taking a meeting with Russians in his own tower – another simple detail. 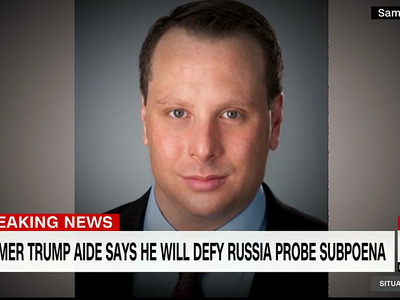 Could Nunberg explain what happened after he left the campaign and before Paul Manafort, an operative with strong ties to Russia, took over? No. Another detail. As for Trump’s Russia policy, or his Oval Office meeting with Russian diplomats or general strange behaviour when it comes to the rival nation, Nunberg simply shrugged. “You’re going to have to explain that to me,” he said to CNN’s Jake Tapper. Ideally, tricksters make problems disappear and stories appear (mostly by leaking or lying to journalists). They come up with ear worms – phrases, often but not necessarily insults, that dig into your brain. That last part is Nunberg’s specialty. The way he has told it for years, he came up with “build the wall” and other elements of Trump’s winning political platform by listening to radio stations around the country and turning the grievances he heard into a political platform. Nunberg, like former White House chief strategist Steve Bannon, knew that Trump was the vessel for this message. But in a world of globalists (like Gary Cohn, Ivanka, and Kushner), and enemies like Corey Lewandowski, both Bannon and Nunberg also always knew they were vying for Trump’s attention. What could be a vessel for them could be a vessel for someone else. All that someone had to do was tell Trump the right story – and the right story in 2016 (whether it was told by Russians, or Nunberg, or Bannon, or Kushner) simply had to end in Trump winning. The rest was detail – detail lost in what everyone admits was complete and utter chaos. So if you’ve ever wondered how in the midst of mounting evidence of Russian influence, Trump is able to insist that the rival foreign power had no impact on his victory, look no further than Nunberg’s stretch of interviews. At one point he whined that no one was giving Trump enough credit for his victory. That was the miracle and the focus of the campaign. What else could matter? It’s the same for Trump. In his zero-sum mind, he won. There need be no more analysis than that. Everything else is just details.